A cult indie band beloved of Morrissey are marking the 30th anniversary release of their one-and-only album with a gig in Manchester. The Smiths frontman memorably covered Bradford’s classic single, Skin Storm, and became firm friends with lead singer Ian Hodgson, regularly visiting his Blackburn home for tea and biscuits and sending him postcards from around the world while the Smiths were on tour. Skin Storm is taken from the band’s album, Shouting Quietly, now reissued by Turntable Friend Records as 30 Years of Shouting Quietly. The album was produced by Smiths producer and former Morrissey songwriting partner, Stephen Street. 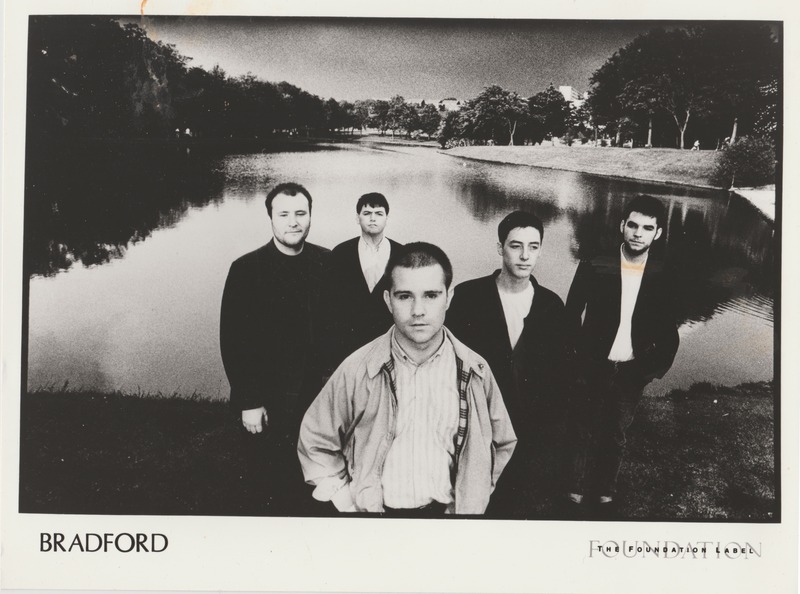 To coincide with the album’s re-release, Bradford have reformed – in part – for a series of gigs around the country. On 20 July they play Gullivers in Manchester supporting Davey Woodward, former frontman of the Brilliant Corners. Ian added: "To have a record you made to be re-appraised as a 'lost English classic', then re-released after three decades have passed, is nothing short of astounding to me and the heart of my cockles are thoroughly warmed by the experience. "Since the album launch of Thirty Years Of Shouting Quietly at Blackburn Museum as part of a photographic exhibition entitled Blackburn - its town and its people - A Retrospective, we've been asked to play some selective dates: London, Manchester, Lancaster, Germany and the Shiine Festival and we're in the process of putting a four piece band together for the dates. As if that was not enough, there is even a musical called Shouting Quietly in the early stages of rehearsals by Burnley-based Spectacle Arts. "But what's kind of even better is Ewan and I are hanging out a lot again and it's great at this stage of our lives to be so excited about music - we're also writing and recording again and I know you're expected to say this but in the famous words of the famous Carpenters, ‘We've only just begun’," Ian said.